The sun deserves to shine on something as beautiful as the Laguna Sectional Sofa. 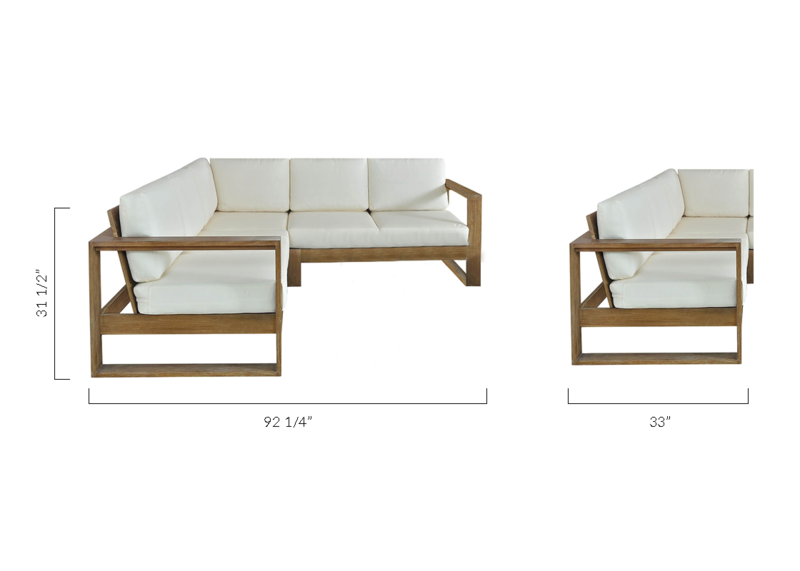 Solid teak wood is carved into a cubic shape, and the low-slung back supports the lower back and the legs. Clean lines and an open arm-design gives this sectional a refined and rustic air. A removable foam-filled Sunbrella cushion is easy to clean and built to last through many sunny, summer afternoons. L: 92 1/4" * W: 92 1/4" * H: 31 1/2"